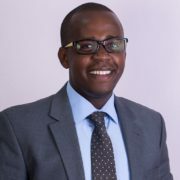 Mr. Kivuva is known to provide commercially sound strategic legal advice to public and private companies. He has worked with clients to identify, develop, commercialize and protect intellectual property assets. He advises on all aspects relating to patents, trademarks and copyright designs. Acting for a range of clients in various industries, enables him to provide commercially sound and strategic legal advice to his clients. He is able to work closely with clients to identify, develop, commercialize and protect intellectual property. McKay Advocates is a firm of experienced lawyers providing innovative and bespoke legal solutions to all our clients. Our team prioritizes the interests of our clients focusing on how to assist them be successful in their operations. © 2013 - 2019 McKay Advocates | Design by Cornel.